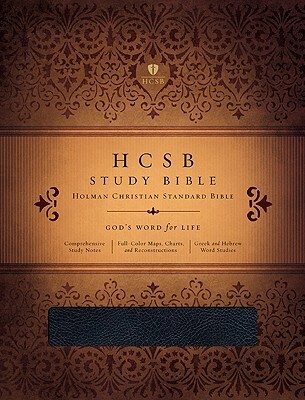 Holman Bible Publishers, 9781586405052, 2100pp. Developed in direct response to what consumer focus groups asked for, only one study Bible delivers more than you'd expect-right where you'd expect it. When reading a passage in the Bible, you shouldn't have to wonder where to find supporting reference notes and commentary that go along with it. That's why the HCSB Study Bible-featuring approximately 15,000 study notes-is designed so that every clarifying resource is there on the same page spread as the biblical text to which it refers. You'll never again forget what you were looking for, because the pertinent note, map, chart, word study, or illustration is already there. And when an even deeper view is desired, there are also introductions for each book, outlines and timelines, a concordance, and more. Jeremy Royal Howard es escritor y el editor de múltiples materiales teológicos. Obtuvo su bachillerato en la Universidad Teológica de Tennessee (Tennessee Technological University) con especialización en biología y en el Seminario Teológico Bautista del Sur (Southern Baptist Theological Seminary) obtuvo su Master y Doctorado en Divinidad con énfasis en apologética y visión del mundo, filosofía y teología. Jeremy Royal Howard is a writer and editor of multiple theology resources. Dr. Howard was educated at Tennessee Technological University (B.S.) with a major in biology and The Southern Baptist Theological Seminary (M.Div. and Ph.D) with emphases on apologetics and worldview, philosophy, and theology.